Co-founder of Cabinet LEGRAND LESAGE-CATEL GAULTIER, Michèle Lesage-Catel is a specialist in Intellectual Property Law with over 30 years’ experience. She advises, assists and represents both French and international clients as plaintiffs and defendants in patent law, trademarks, designs and models, as well as in the fields of unfair competition, advertising and communication. Working as both litigator in Intellectual Property cases and in a support role on matters raised before the various intellectual property courts, Michèle Lesage-Catel is also active in the fields of arbitration and mediation, and in the development of means of dispute resolution that are in certain cases alternatives to judicial proceedings. She also intervenes in support of associations and foundations in the fields of inheritance law, gifts and life assurance. 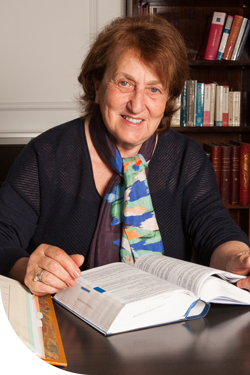 Michèle Lesage-Catel has since 2010 had an entry in Guide Décideurs under the heading “Innovation and its protection”. Her 2015 entry in Guide Décideurs was under the heading “Marketing, E-Commerce and Distribution”.